Sharing calendar information of the user or the resource with the Meeting Room Schedule app enables you to view the real-time schedule in the android device. This core idea makes the app extremely useful for personal as well as professional purposes. This article gives a quick tour of how to publish the outlook/exchange calendar and obtain the publishing URL. Microsoft Exchange and Outlook 365 allows the users to publish their calendar online. This enables the users outside the organization to view them. 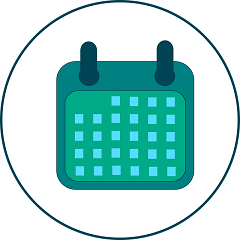 The same principle can be used to make the calendar available through Room Display app. Follow the quick steps to enable calendar publishing from the web application. Select the Calendar you want to share and the permissions to generate the corresponding URL. Copy and share the ics/html URLs to provide access to other people.